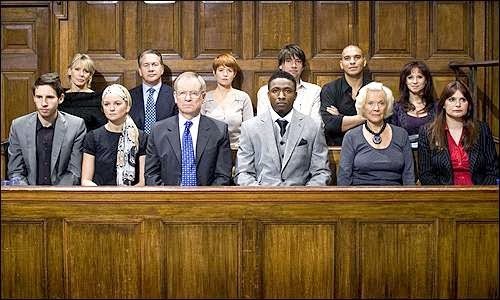 The Urban Politico: Jury Duty: Who Are Your Peers? The latest proposal coming out of, you guessed it, California, does not, despite what detractors imply, apply to illegal immigrants, but it does seek to extend rights and duties usually thought only to accrue to citizens to legally resident non-citizens. SACRAMENTO — Legal immigrants who are not American citizens would be able to serve on juries in California under a bill that lawmakers sent to Gov. Jerry Brown on Thursday.The measure joins a proposal already on the governor's desk that would also allow legal permanent residents to serve as poll workers in California elections.The bills are among a handful that would expand immigrant rights in California and have sparked rancorous debate in the Legislature. Immigrants "are part of the fabric of our community," Assemblyman Bob Wieckowski (D-Fremont) said during the floor debate Thursday. "They benefit from the protections of our laws, so it is fair and just that they be asked to share in the obligation to do jury duty." Republicans opposed the measure, which passed the Assembly with a bare majority. The Senate approved the bill Monday. "I do think there is something called the jury of your peers," countered Assemblyman Rocky Chavez (R-Oceanside). "Peers are people who understand the nuances of America." I think you can probably guess what I think of this proposal but just in case you can't I will spell it out. There is an argument that can be made for the elimination of the nation state. There is also an argument that can be made that nationalism is just another form of bigotry and them vs. us thinking. You could argue that separating people or granting them rights based on where they were born on this planet is not really all that different than basing their level of rights on other characteristics over which they have no control such as their race, ethnicity, gender, sexuality, etc. Non-citizens have legally voted in previous elections. I am wholly unsympathetic to these arguments. The nation state isn't going anywhere anytime soon. Neither are different cultures and different ways of understanding the world or different ideas about how a criminal justice system works. There is a process by which anyone on this planet can become an American citizen. Depending on which year you're referencing, about a million or so do each year, in which case they can vote, serve on juries and do other things which, usually but not always in the American political system have been reserved to citizens. When you vote or serve on a jury you are exerting influence over a political system you are invested in and for which you have some form of loyalty or hopefully understanding. This isn't perfect of course. 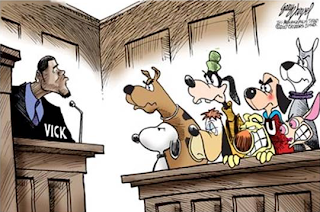 There are plenty of stupid or malicious people who vote or serve on juries (how else can you explain the election of Ted Cruz or the acquittal of Casey Anthony) but that is our system. In many respects it's the least bad of all the others. My peers are American citizens. I do not wish to be judged by non-citizens. I do not want American elections to have non-citizens participating in them as poll workers or really in any capacity. I know that there are many smart, sober, well-read and intellectually curious permanent non-citizens in this country. I work with several and have no problems saying that some are far more intelligent than I. All the same though this isn't their country unless and until they become a citizen. I don't think it's too much to ask that jury duty and any sort of election work be restricted to US citizens. Should permanent legal residents be able to serve on juries? What should be the distinctions between citizens and legal residents?